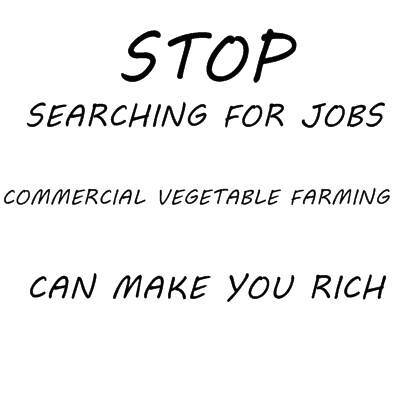 Stop searching for a job now, let me show you how commercial farming any of this four vegetables can turn you into a millionaire in one season. Vegetable farming is one of the easiest farming ventures that could turn you into a bouncing millionaire in a year if you know the onions.Don't be afraid if you don't know, I'm here to help. Imagine investing N100,000 into either ugu, cucumber, okra, or cabbage commercial farming and see how your life turns around. FarmLand shouldn't be a problem because there are cheap lands everywhere to buy if too costly start with renting. If you are still confused asked me about how to get very cheap land. The Southern parts of Nigeria have very cheap and viable lands for the cultivation of ugu. In Oyo, Osun, Ekiti, and other South western states farmlands are very cheap and easy to purchase. Rented farmlands are way cheaper say like N5,000-N15,000 per year. Even very cheaper in the north. 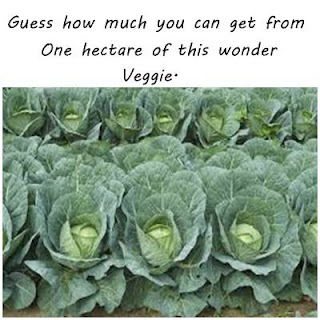 These are profitable vegetables you could farm to make money. Ugu vegetable is no doubt, the most popular and most consumed vegetable of any kind in Nigeria. An acre size Ugu farm is capable of turning in above N500,000 and it will take you less than N60,000 to cultivate one-acre farm of fluted pumpkin. Imagine more than N500,000 in your pocket for investing only N60,000. In the dry season, a farmer using irrigated agriculture to plant Ugu could earn more than N600,000 in gross profit because the price of ugu is usually very high in the dry seasons. Ugu vegetable is in high demand in Nigeria, anyone who can cultivate Ugu is absolutely going to make a lot of money selling it. As nutritionists will always say: Great skin starts with Cucumber. If you really want your skin to be healthy, your number one answer is the cucumber. This is because, cucumber and skin are known to share the same level of hydrogen content, which makes it easier for cucumber to deal with the skin problems by engulfing them. It works well in soothing, softening, and relaxing your skin very quickly. 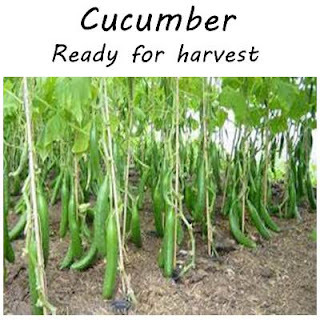 Cucumber can be eaten raw and is used for the preparation of many kinds of food in Nigeria. Cultivating this vegetable will surely put a lot of money into your pockets. Cucumbers like every other vegetable like soil that is well drained and rich in organic matter. Cucumbers are hearty plants and easy to grow. Just make sure they have full sunlight and soil that is rich in organic matter. 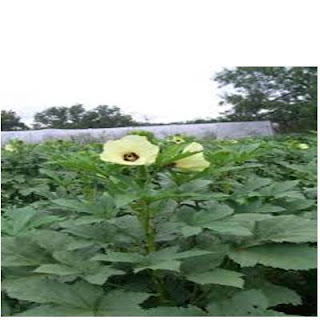 Okra, which is popularly known as the lady's finger and gumbo, in many English speaking countries, is a very nutritious edible green pod vegetable. When sliced, the okra's edible green seed pods produce a slippery sticky substance that makes the soup thick, smooth. Nutritionists have proven that eating fresh vegetable soup prepared with plenty of okra can relieve constipation and increase digestion. If you are a Nigerian, you don't need to be told about okra soup. It's one of the most popular soup in Nigeria restaurants, usually prepared with Ugu vegetable and smoked fish - very delicious and taste good. Okra contains a good amount of Vitamin-A and is known to be antioxidant due to its good content of beta-carotene. It is also rich in Vitamin-C, Vitamin-K, and some form of Vitamin-B Complexes. 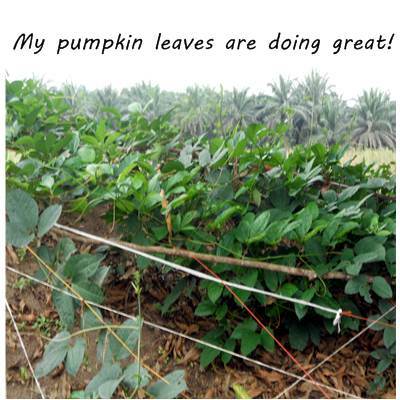 Like Fluted pumpkin, it supports the Nigerian soil and climatic environment. Cabbage is another popular and widely consumed vegetable in Nigeria and is popularly used to prepare salads. The only part of the plant that is normally eaten is the rounded leafy head (the spherical cluster of young leaves) excluding the partially unfolded outer leaves. It is in high demand in Nigeria and sells for a reasonably good price. A large ball could sell for about N250. Cabbage really does not like high temperatures, it grows better in a cold environment but must get at least 6 hours of sunlight every day. It grows well in a drained and fertile soil. I have to stop here my farm is waiting. But before I go I want to conclude with these words. 1. Start now. Don't procrastinate. 2. One of the richest persons in China is a farmer he didn't get there by folding his hands and becoming lazy. If you are really going to earn good money in commercial farming then you have to work. See you around the blog.